It is always encouraging to find that there are still up-and-coming bands that are earnestly striving to make a dent. In fact, it is hard to imagine there ever being a lack of strivers out there. However, in order to succeed in making an impact, you must be able to stand out. 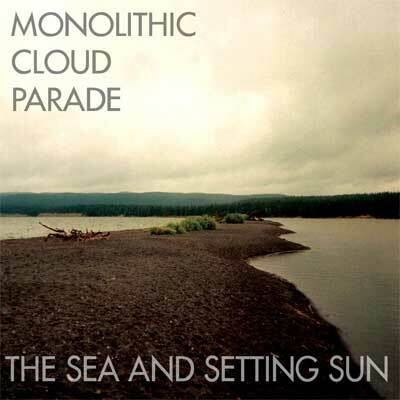 Monolithic Cloud Parade is a young group of musicians who haven’t yet found their “it” — their selling point, their “ticket.” The songs are very good, but they rely too much on their influences. There is a bit of everything thrown in there: Built to Spill, Man Man, Modest Mouse, Interpol (“Empty Vessels”), Wolf Parade, (“The Moon Fell into the Sea”), Neutral Milk Hotel (on the title track), among others. It’s all tossed into the mix in a bit of a haphazard, incomprehensible way. The songs are well-formed and the lyrics are interesting, but it is all too distracting; there is a direct reference to Modest Mouse in “Cowboy” and a direct reference to Cursive in “Adventurer.” The band is clearly talented, and they make use of a wide range of instrumentation. The vocal abilities of lead singer Corey Fry are up there with those of all of the bands listed. While none of this is direct imitation, it is certainly derivative for anyone familiar with the aforementioned bands. The question becomes: how conscious is this, and is the band able to see its music from this vantage point? This is the first step to recovery! It is clear that Monolithic Cloud Parade, if able to step outside of itself and beyond its influences, can make an album on its own terms. There is a good base to work from, but there needs to be a spark to light the fire of originality before the band will go anywhere. My suggestion: rethink the band name, take some time to reflect, use what skills you have, and the rest should be easy.